Texture is trending and beads are back! Reminiscent of artisan and hand-made trends, beads are a clever way to add detail and texture to your living space. Many of the brands we adore are embracing the bead trend as well. From Aidan Gray to Currey & Company to Regina Andrew, there are plenty of elements to choose from to update your space with the latest trend. One of the many benefits of beaded pieces is their unexpected flair of sophisticated funk. 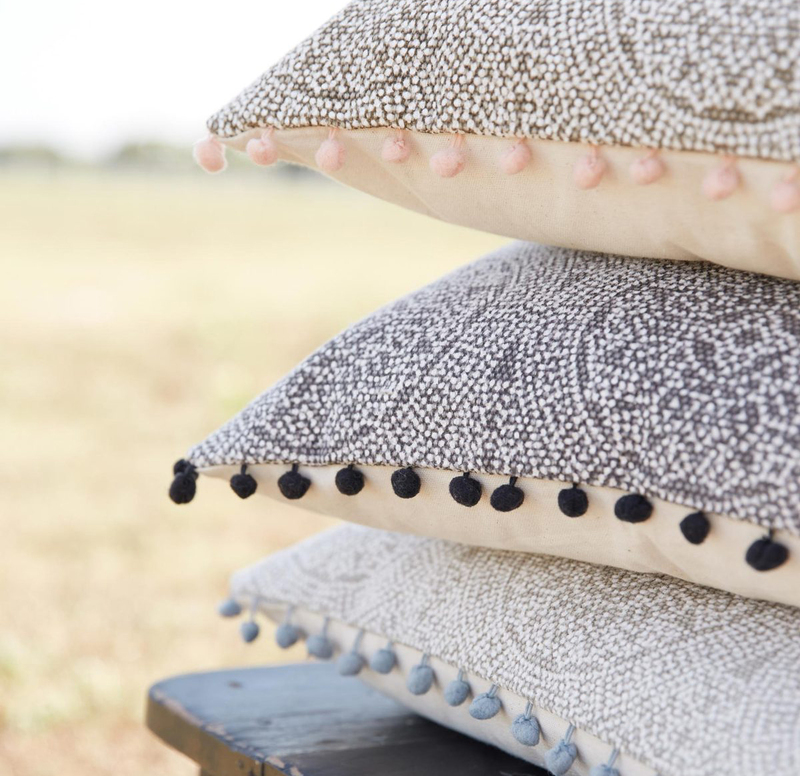 A shabby-chic detail like beads sets your space apart with texture. When the texture takes center stage, you can also play around with different colors. We especially love incorporating the bead trend into lighting pieces to get that dramatic flair while still maintaining sophistication. Whether you choose a chandelier, flush mount, table lamp, or sconce, a beaded lighting piece will complete a space with statement detailing. 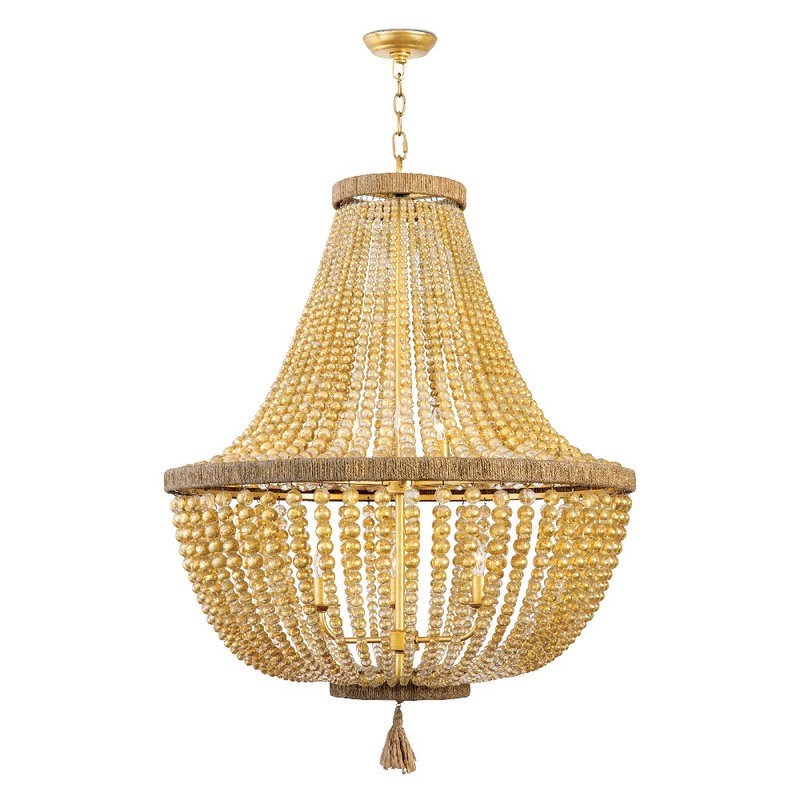 In the realm of chandeliers, there are a variety of styles and options to choose from. 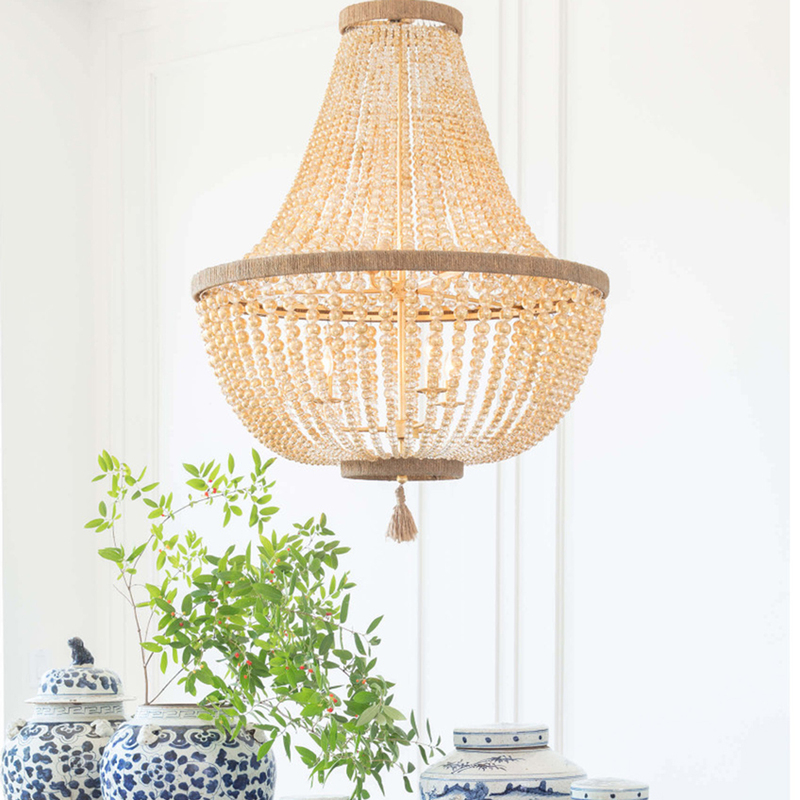 For a classic and large chandelier, select a piece similar to the Regina Andrew Lighting Dior Chandelier to complete a living space. The steel and gold leaf mix together to create a breathtaking piece that combines vintage and natural elements for a truly one of a kind look. 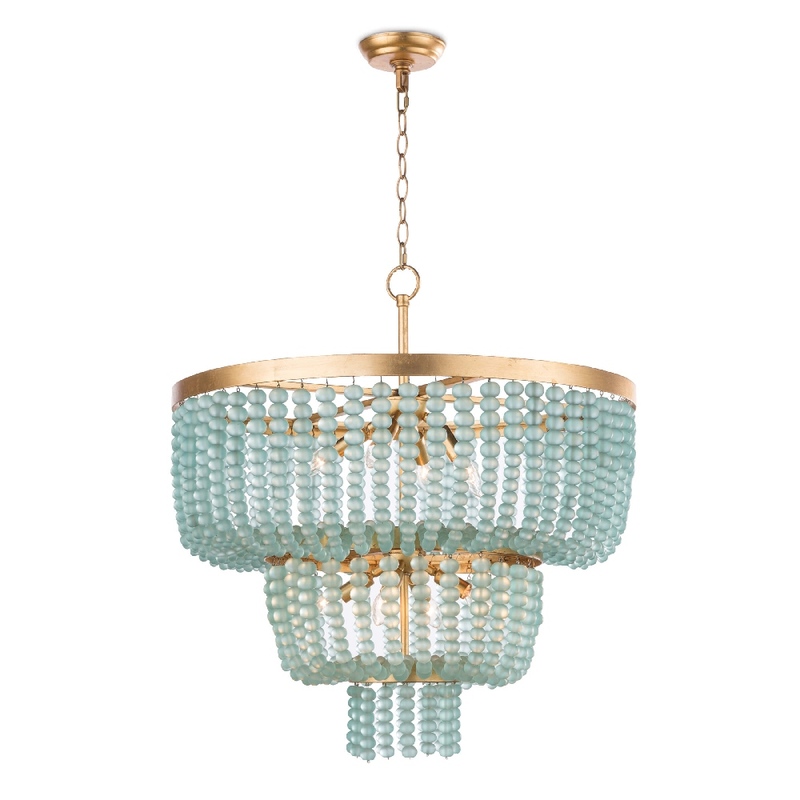 For a lighter and smaller look, choose the small light fixture like the Regina Andrew Lighting Summer Glass Bead Chandelier for a kitchen or bathroom. The bright blue contrasts beautifully against the gold accents, and the draped beads create instant elegance. 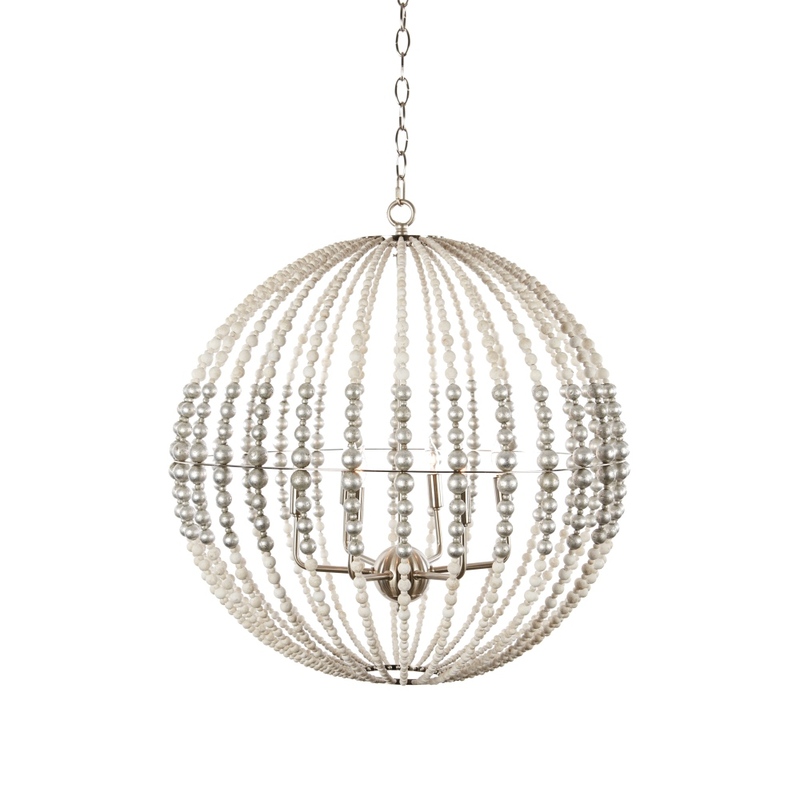 For a more modern take on the bead trend, select a piece similar to the Aidan Gray Home Globe Silver Chandelier in a stunning orb shape. 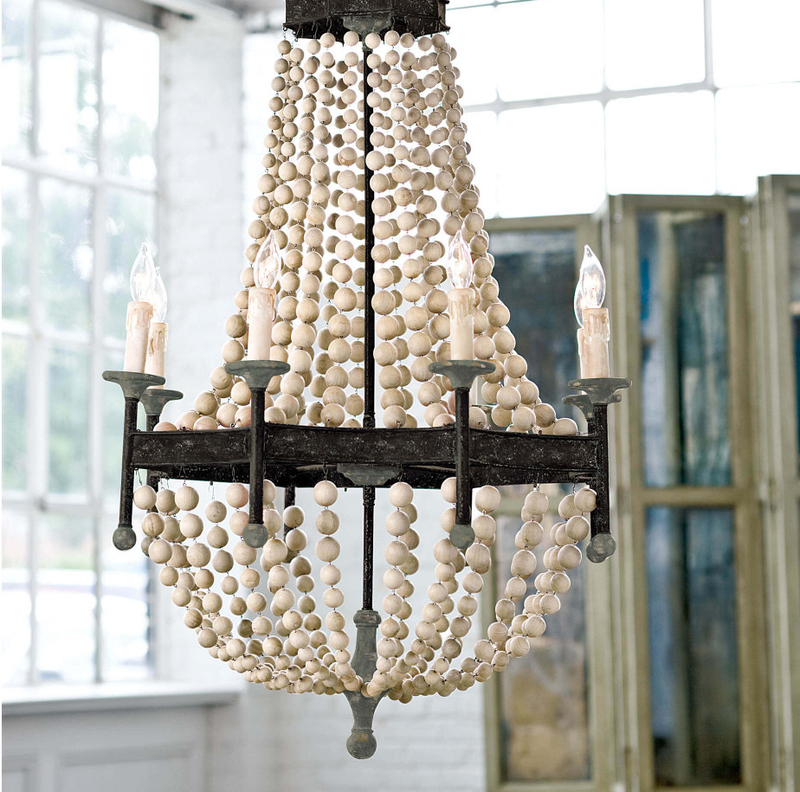 The silver beads combine with an antiqued finish for a piece that is a statement maker. 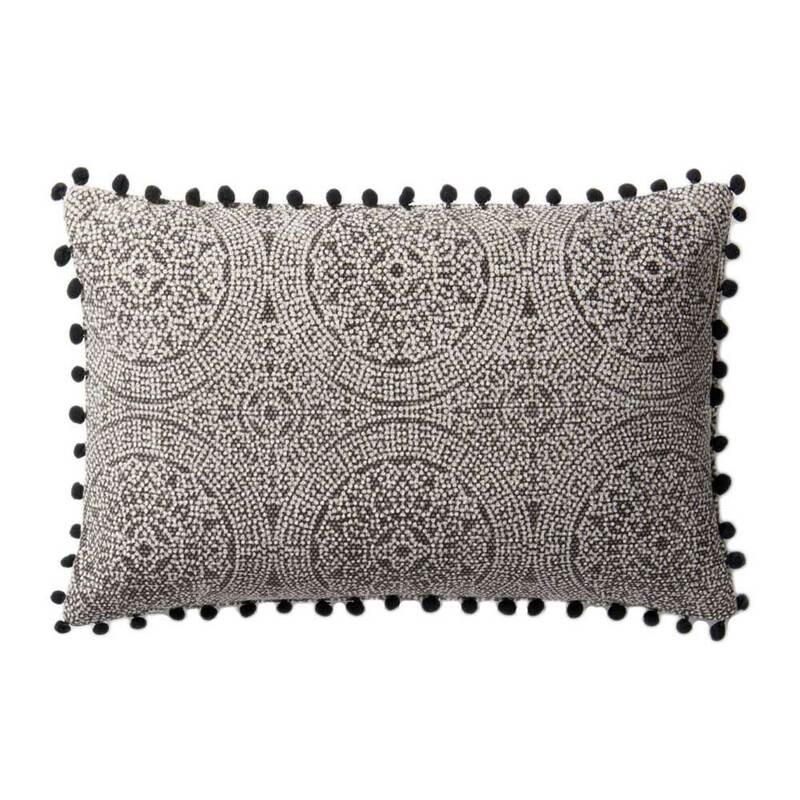 For flush mounts, there are plenty of colors and styles to choose from to find the beaded piece perfect for your space. 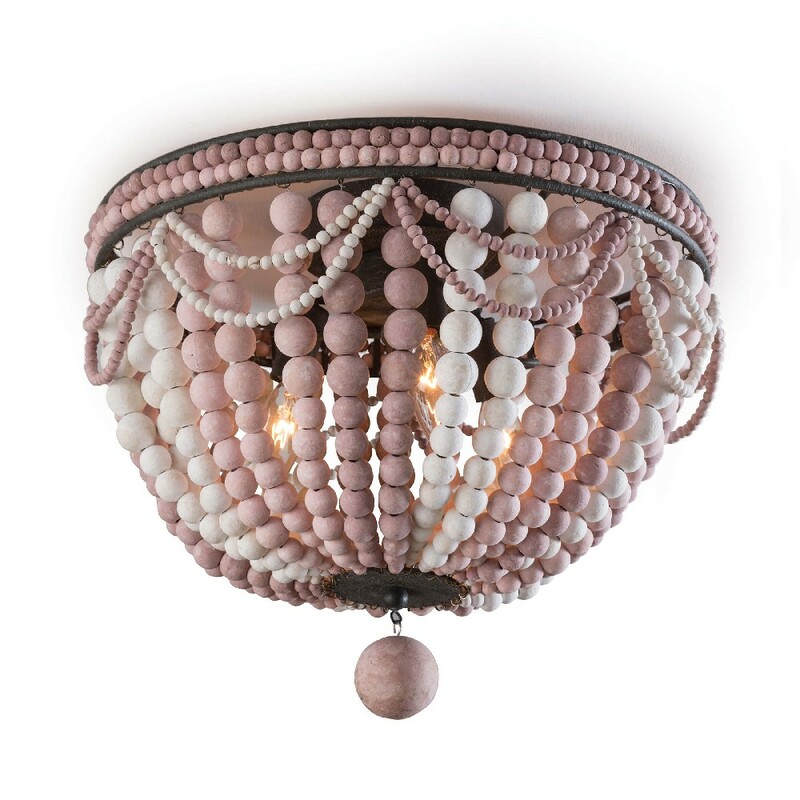 From pure white to antiqued bronze and even pink and blue, there is a beaded piece that was made to complete your space with flair. 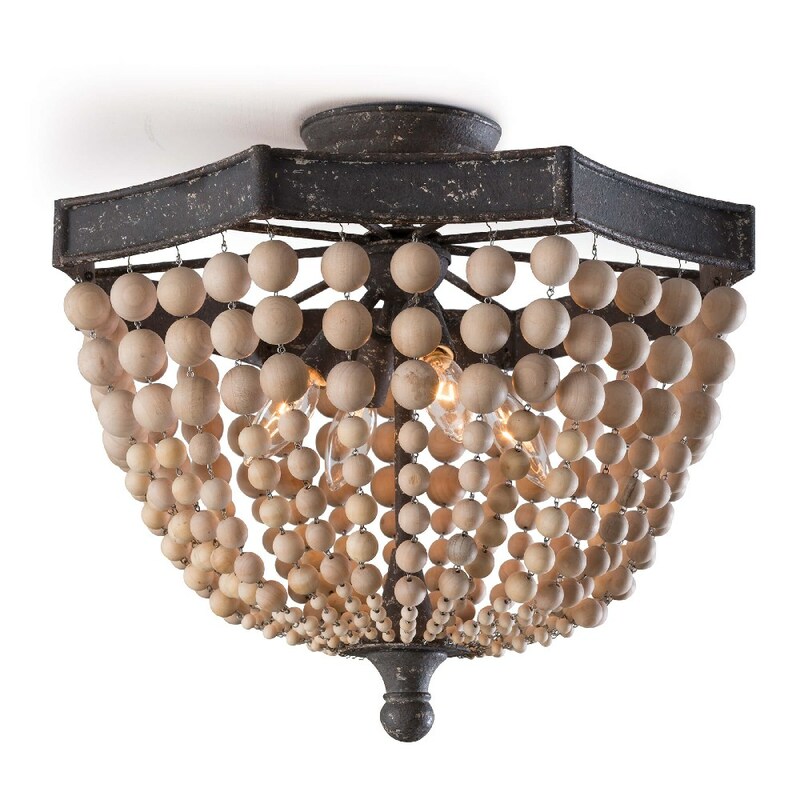 For a more old-world inspired look, try a flush mount like the Regina Andrew Lighting Wood Beaded Semi Flush Mount. Looking to complete a nursery or child’s room? Try a colorful light fixture such as the Regina Andrew Lighting Malibu Flush Mount in Weathered Pink or Blue to give the room extra interest and style. 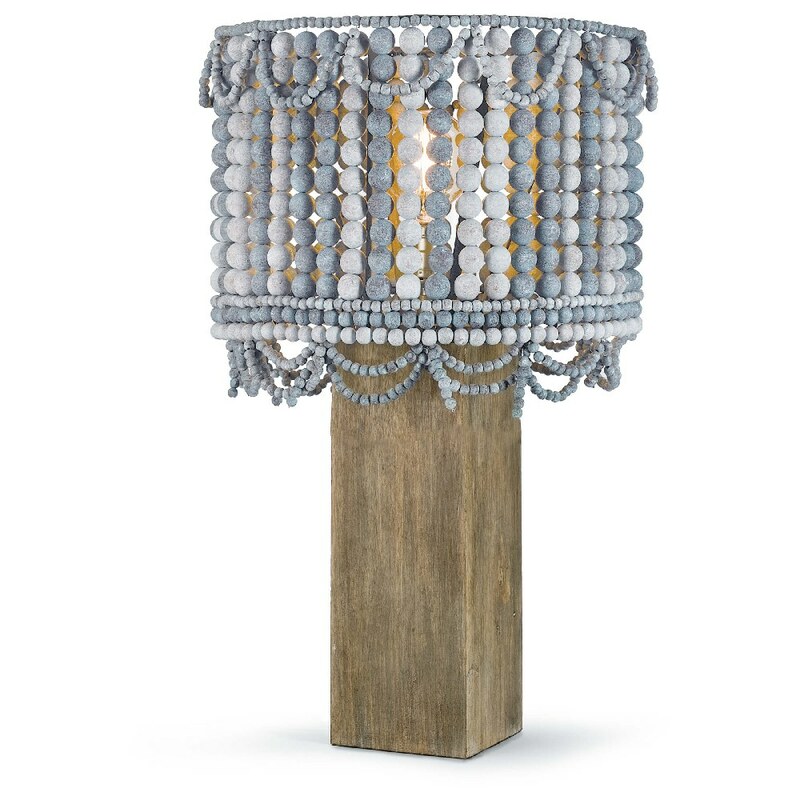 The beaded trend also works with table lamps and sconces. 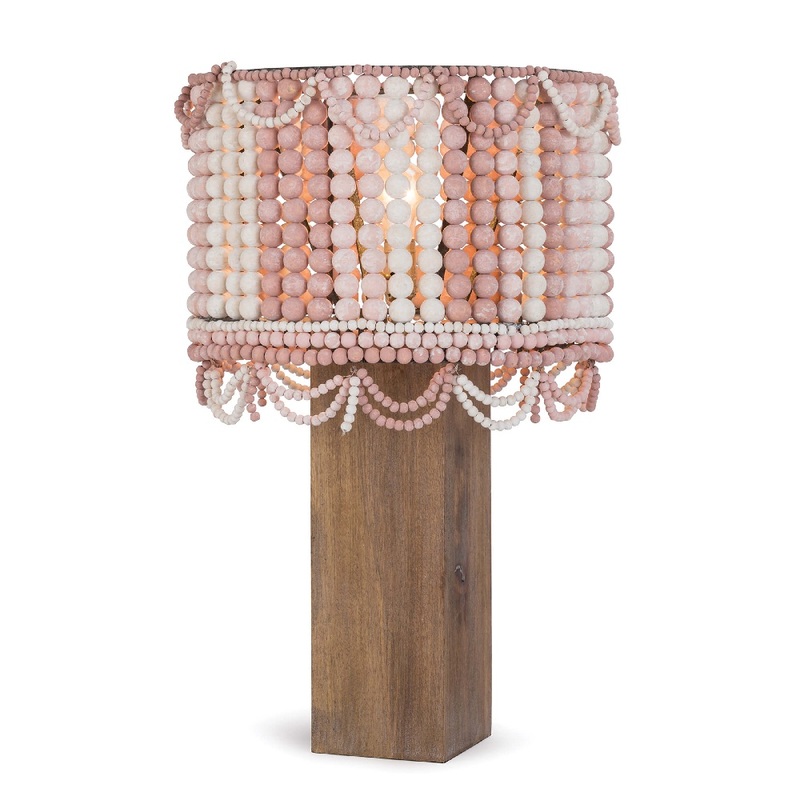 For a mix of old world chic and antique, try a transitional piece like the Regina Andrew Lighting Malibu Table Lamp, available in Weathered White, Pink, or Blue. 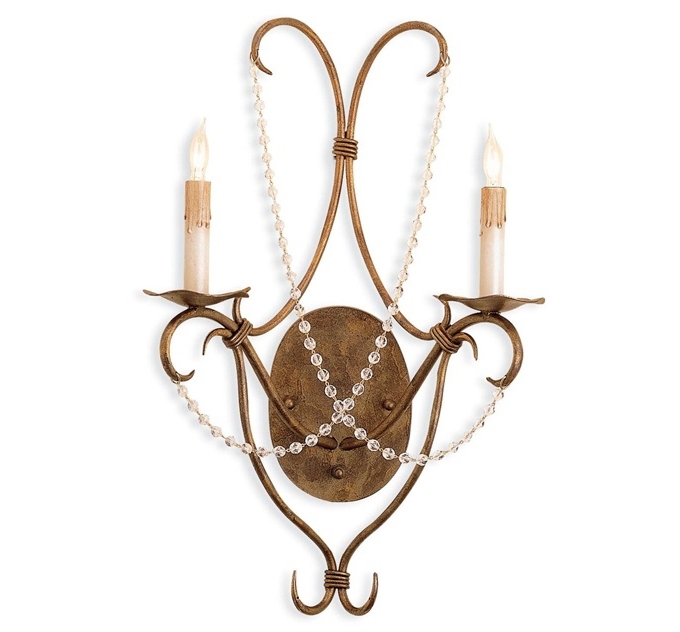 Set a room apart with beaded sconces that bring natural elegance and interest with the beaded detailing. The Currey & Company Lighting Crystal Lights Wall Sconce in Rhine Gold is an example of a fixture that looks stunning on its own or in a pair on either side of a bed. 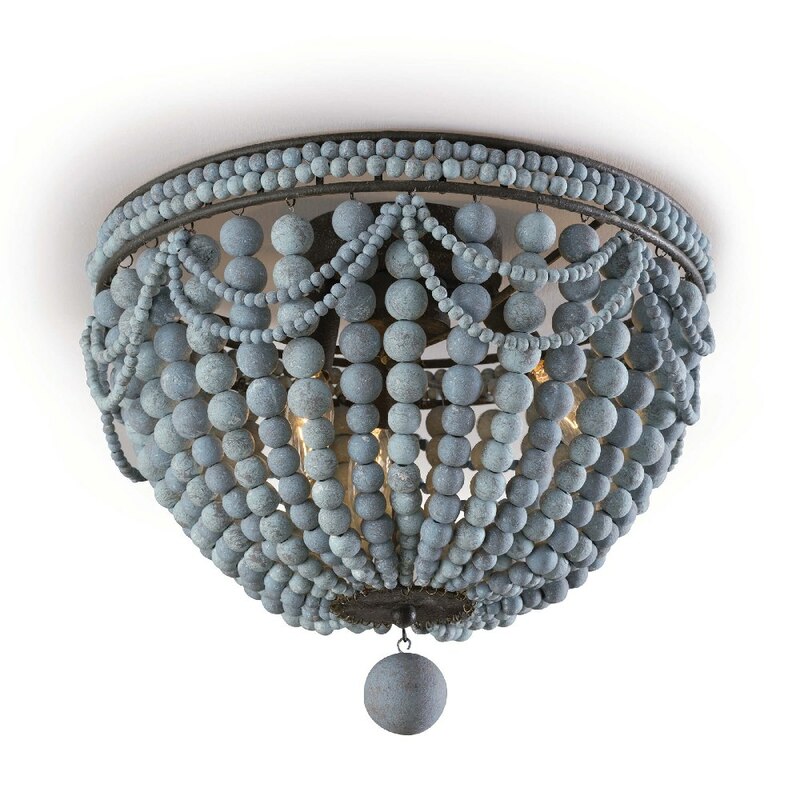 Embrace the bead trend in more than just lighting! 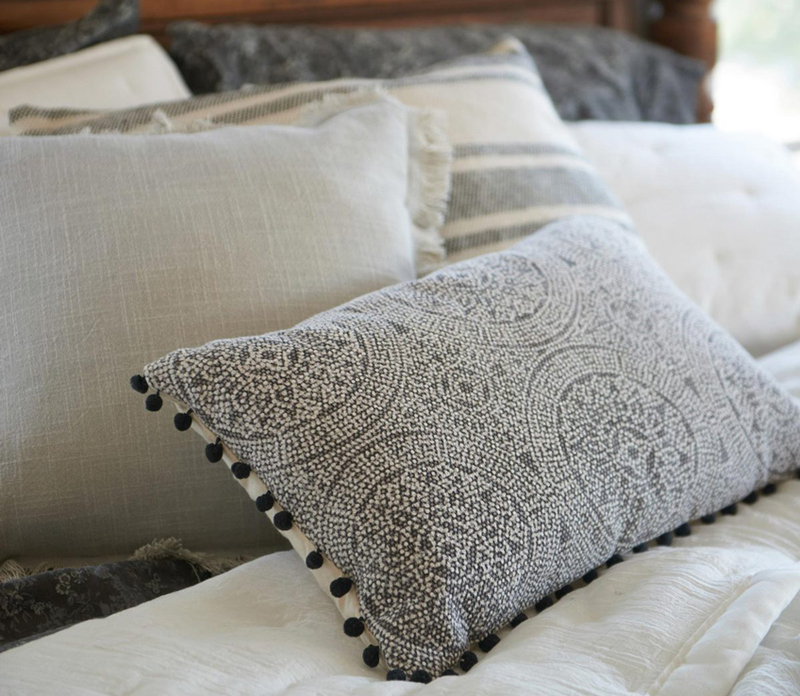 Throw pillows, like the Magnolia Home by Joanna Gaines Ruby Pillow, are available in a variety of colors and add instant texture and interest to an otherwise simple space. 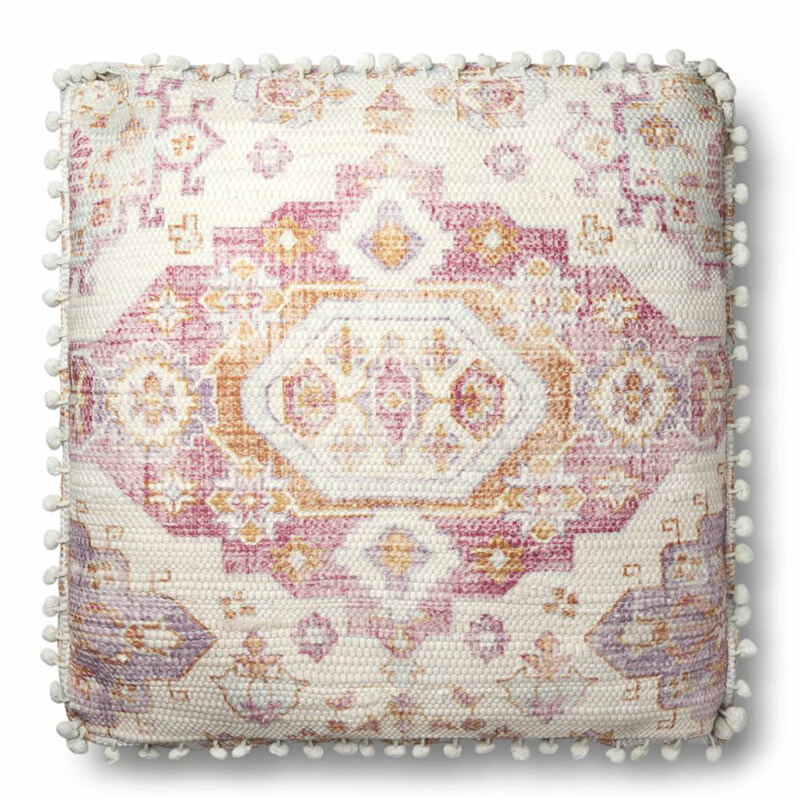 If you need a pop of visual interest, the Magnolia Home by Joanna Gaines Lin Pillow in Pink & Multi adds depth with a floral pattern featuring beaded details as well. 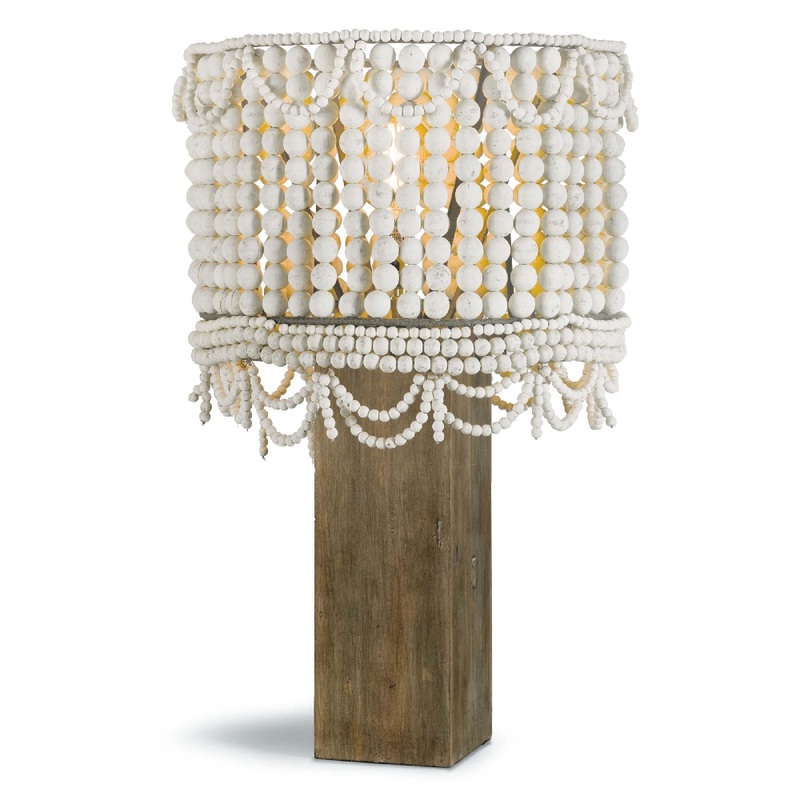 Jump on this artisan trend and liven up your living space with beaded lighting and home decor. For more examples of this textural style, browse our Just Bead It Trend!